Trail running is sublime right now with soft dirt under our feet, flowers scenting the air and a feeling of lightness in the balmy temperatures. Many of us have signed up for a trail race. 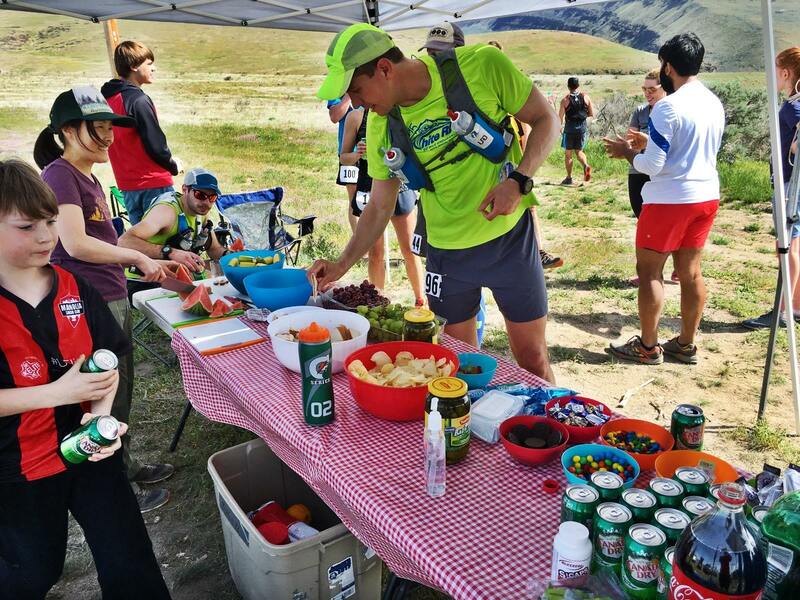 Gaining in popularity, trail races are still less common than the ubiquitous road race. Training for the two is different, and so is the race-day strategy. For those who will race on dirt soon, I want to share the experiences of my friend Imelda and myself as we tackled our first trail races of the season. We both had successful days of racing and maybe you can glean a few helpful tactics. 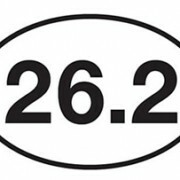 I signed up for the Yakima Skyline 25k last winter, during the heart of ski season, hoping that with a base of cross country skiing and a month-and-a-half to log more running distance, I’d be ready. Imelda, who lives in Twisp, signed up for the Yakima Skyline 50k, her first. Since she doesn’t ski much, she faced the challenge of running through a high snow winter. On race day, April 17, I was more nervous than I had been in several years. It’s hard to ever feel ready for a race with 4,800 feet of climbing but especially this year with local trails snow-bound until very recently. Now at age 40 and a Master runner, nimbleness seems exchanged for tightness, and my downhill confidence has wavered since I broke my ankle in 2014. Nervousness led to pre-race adrenaline flow. I woke up on the hour at 2 a.m. and 3 a.m., and at 4 a.m. I got up although I didn’t need to start driving until 6:15. Too much early adrenaline can leave me feeling spent when I need it most. But relying on experience I took the adrenaline surge as a gift. I calmly and methodically went over my race essentials: shoes and clothing options, breakfast for the road, energy blocks, bars, ibuprofen, salt tablets, a small first aid kit, a filled Camelbak, spare water, a towel, sandals and more clothes for post-race, and a well-studied map and race schedule. Trail racing reminds me of my strengths and weaknesses under strain. As usual I was skittish at the starting line, rechecking my laces three times and bouncing up and down, silently pleading for the starting gun. Once underway it took several miles to get into my running groove. My muscles fought each other up the first huge climb. I knew to be patient. There were points on the course where I could look up and see runners so far above that they appeared like brightly colored dots. It’s easy to be daunted or to work too hard to run faster. 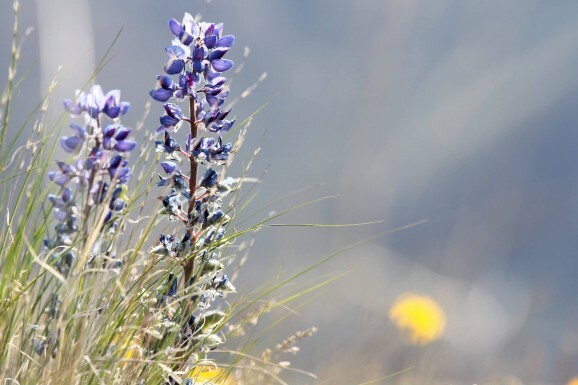 Instead, I stayed in the moment and focused on the terrain ahead, stepping carefully, noting bunches of phlox and the surprise of early lupine. • Gratitude for every moment that my body moved forward, possible thanks to the gift of health. • Gratitude for the aid station worker who gave me his frank opinion after hefting my Camelbak that I should drink more. He then filled my reusable cup three times and put it back into my Camelbak’s zippered pouch, saving me precious seconds of effort so I could turn them instead to my next climb. • Gratitude for my family who lets me escape now and then on long runs and expeditions to trail races, from which I come back tired and dirty but smiling. At the halfway turnaround point endurance steeled me as I retraced my steps up the mountain. I ran in a dreamlike state, stepping off trail to pass runners going my way or the other way. I punctuated each step with positive self-talk, thinking, “I feel great,” and “I have a lot of energy.” My hamstrings and calves, rested during the downhill charge, felt fresh and ready for another 2,000 feet. There can be a psychological challenge to running an out-and-back course. However, I turned it to an advantage. For the whole second half I knew what to expect. There would be no more surprises. Instead of being overwhelmed with exhaustion, I felt immersed in the flow. I couldn’t feel the cobbles that littered the double-wide trail and made sections of the single track and final parking lot lap treacherous. I might not have been as fast as the guy who zipped by, calling, “It’s a controlled fall!” but my feet knew where to go as if I had run this trail many times before. Even a four-foot bull snake 100 meters from the finish wasn’t going to slow me down. I leaped over it and sprinted to the finish line. • This hill is not as hard as Lookout Mountain. • It doesn’t go up forever and it doesn’t get steeper than this, which means that it’s doable. • Surrender to the hills, surrender to each step, surrender to the now, there is nothing else but the now.